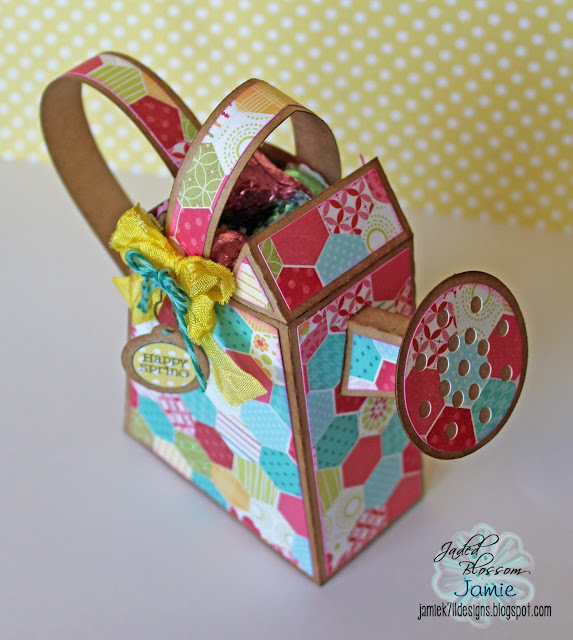 Jamie here to share a new Jaded Blossom project with you! 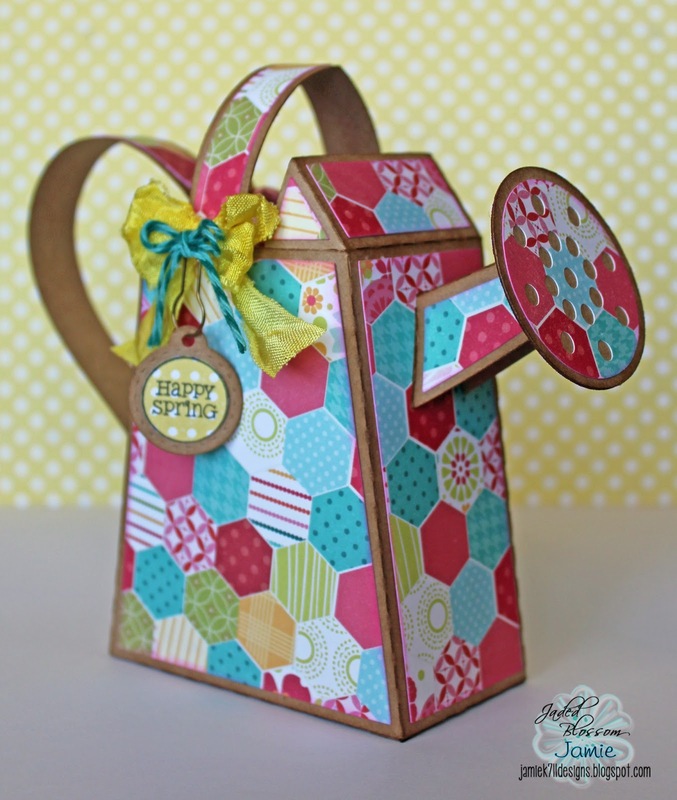 I made this super cute watering can and filled it with some stamped kisses. I used 4 different Candies sets(listed below), I thought all of these images worked great for the Spring theme. I also used one of the new Candy Charms to make the tag hanging off the bow. HOLY SMOKES THIS IS AWWWWWESOME!! Oh I love this. So cute and I love the pattern paper. 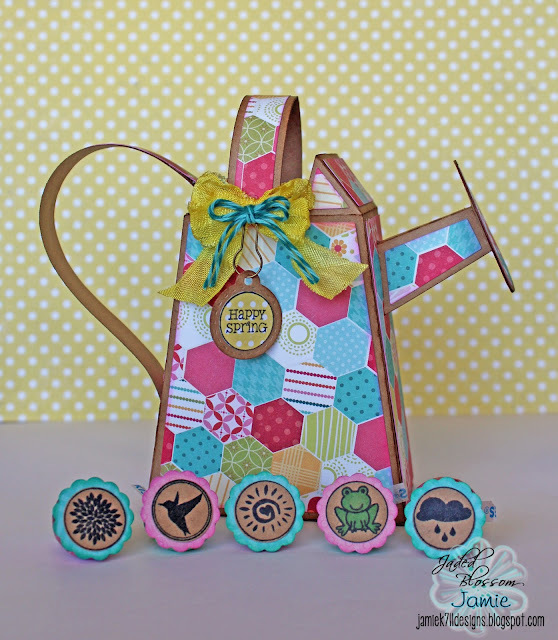 This is so darn fabulous...love that watering can!!!! Love, Love, Love this! So "springy" looking! This is darling! I love all the spring colors!! This seriously looks amazing. Love it. how cool is this!!! Awesome job! This is so over the top adorable!! Oh my goodness..how super cute is this:) Love the papers and very unique project!! Great job! Very pretty! I love the paper!